Wendell, NC: Broadfoot's Bookmark, 1983. Hardcover. Introduction by Richard B. Harwell. 8vo. 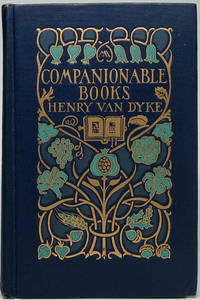 Green cloth with gilt spine lettering, dust jacket. xxxix, 235pp. Fine/near fine. A tight and wonderfully pristine reprint of the 1939 first edition of this important title. Choice autograph addition: Tipped to front flyleaf is a Typed Letter Signed from Freeman's widow ,Inez G. Freeman (1890-1974), 1p, 5¼" X 7 3/4", Richmond, VA, 25 May 1965. Addressed to Arnold F. Gates (1914-93), Lincoln/Civil War scholar, president of The New York Civil War Round Table and friend of Douglas Southall Freeman. Fine. On her imprinted letterhead, Mrs. Freeman comments that "the happy celebration you and your wonderful group had on your visit to Virginia last week-end has left us all indebted to you for coming, and for the pleasure and great honor we felt in having you here. I want to give you my very special thanks for the great pleasure and honor I had in being with The New York Civil War Round Table at dinner on last Friday evening...." Boldly signed in full. A superb copy of a classic reference work and bearing a unique and relevant letter as well. E.B. 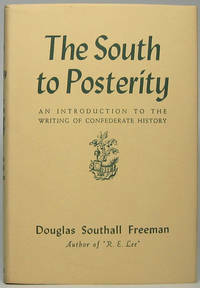 "Pete" Long describes it as "The pre-eminent study of Confederate historical writing by a great practitioner in the field; invaluable as a guide to printed literature of the wartime South." NEVINS II, 14. Boston: Little, Brown and Company, 1925. Hardcover. 8vo. Brown cloth spine with paper label and tan paper over boards. xvii, 451pp. Top edge gilt. Color frontispiece, illustrations. Very good. Faint edgewear and touch of rubbing, but overall tight, clean, handsome -- and internally fine. An attractive fourth printing of this delightful collection of essays on Newton's favorite book collecting areas. Newton (1863-1940) was an American author and publisher best known as one of the most notable book collectors of the early 20th century. Evanston: Chicago Historical Bookworks, 1993. Paperback. 8vo. Stiff pictorial wrappers. 70pp, (1p). Very good. Tight and decent first edition, limited to 100 copies -- a sound working copy, with a handful of inked margin checkmarks and circled items and couple of notes and comments. Though outdated price-wise it's uncommon and still a useful reference. Washington, DC: United States Commission for the Celebration of the Two Hundredth Anniversary of the Birth of John Marshall, 1956. Hardcover. Small 4to. Blue cloth with gilt lettering and decoration. xix, 182pp. Very good. A tight and nice first edition of this thorough listing of books by and about the fourth U.S. Chief Justice. Ex-library -- as are almost all copies -- but quite mild, with very few, discreet and inoffensive markings. New York: Charles Scribner's Sons, 1922. Hardcover. Small 8vo. Blue cloth with gilt lettering and gilt and green pictorial stamping. ix, 391pp. Tissue-guarded frontispiece, 7 full-page called-for plates. Very good. Quite mild edgewear only, else internally fine; 1922 ownership signature on front flyleaf. A tight and handsome first edition of these genteel essays, mainly concerning 19th century English writers but with Emerson thrown in for good measure. 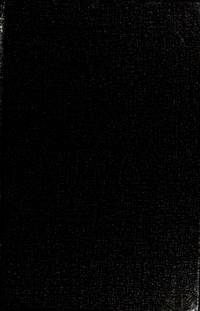 Classic Margaret Armstrong designed binding. Boston: Houghton Mifflin and Company, 1906. Hardcover. 8vo. Coral cloth with paper spine label. ix, 208pp (rectos only). Tissue-guarded frontispiece. Very good. Binding mildly edgeworn and age toned, with miniscule chipping at head of spine; paper spine label is the "spare" originally bound in at rear, as it's bright and pristine; faint inoffensive abrasion on front pastedown and front flyleaf an expert contemporary replacement; internally tight and near fine. Tight and nice first edition, limited to 530 numbered copies (this #250), of this highly-regarded guide to the works of the versatile American critic, poet, diplomat, editor and man of letters (1819-91). The most discreet ex-library imaginable, main evidence being a small and faint blind-emboss on title page. London: George Routledge & Sons, Ltd, 1926. Hardcover. 8vo. Coral blind-embossed cloth with gilt spine lettering and rules. xxv, 274pp. Very good. Spine a bit sunned; quite mild ex-library, the sole markings being a perforation-style institution name on title page and spine mark where paper label formerly resided. A tight and internally near fine first edition of this hefty well-regarded bibliography, still a standard reference. Nice and quite usable though discreetly ex-library. New York: Greenberg: Publisher, 1929. Hardcover. Small 4to. Black cloth with gilt spine lettering. xiv, 374pp. Frontispiece, illustrations. Very good. Front inner hinger expertly and archivally strengthened, thus tight, else bright and near fine. Attractive first edition of this well-known collection of 20 essays about famed writers and their books. Front pastedown bears handsome custom 1901 bibliophilic-theme bookplate of noted book collector and Canadian-born Chicago insurance company executive Wellington Reid Townley (1861-1931) and front flyleaf bears his pencilled note after being gifted this by the youngest of his two daughters the year before his death: "From Enid / On My Birthday / March 8th 1930." New York: Simon & Schuster, 1989. Paperback. 8vo. Stiff pictorial wrappers. xi, 231pp. Illustrations. Near fine. Spine ever-so-faintly sunned. First of this Touchstone softbound edition of the 1962 Chicago bookman's memoir, tight and lovely. Inscribed and signed by the author (1912-2010) large and bold (if tremulous) in black fineline on front flyleaf: "For / Elizabeth, / From -- / Stuart / Brent / with / pleasure!" Elizabeth "Ibby" Malott was wife of Robert Malott (1926-2018), noted Chicago businessman, CEO of FMC Corporation, Republican politico and philanthropist. New York: The American News Company, Inc, 1930. Hardcover. 4to. Faux vellum spine and brown paper over boards with gilt lettering and decoration. 61pp, (1p). 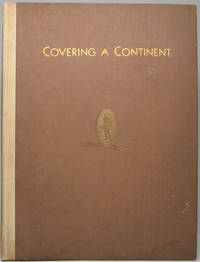 Frontispiece, numerous illustrations, large foldout map centerfold, decorative endpapers. Very good. Binding a tad edgeworn and lightly soiled, though internally tight and fine. 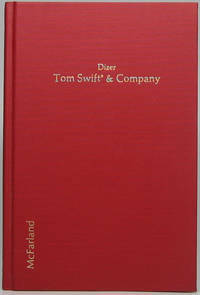 Attractive first edition of this promotional keepsake, a company history. Despite their company, this behemoth distributor headquartered in New York City (1864-1957) also handled magazines, books and comic books and they dominated the field in the latter 19th century and first half of the 20th. Uncommon. Boston: Little, Brown & Company, 1926. Hardcover. Small 4to. 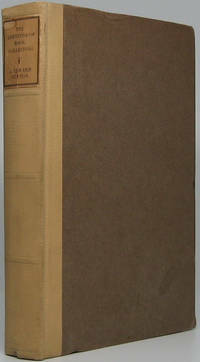 Brown cloth with gilt lettering and extensive rules, pictorial dust jacket. 316pp. Top edge gilt. Tissue-guarded color frontispiece, numerous full-page plates. Near fine/very good. Faint jacket edgewear only. Exceptionally tight 'n' bright first trade edition -- with usually-absent jacket not only present but quite nice. An unusually fresh copy. 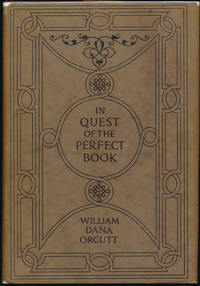 Orcutt (1870-1953) was the noted author of such bibliophilic classics as "The Magic of the Book: More Reminiscences and Adventures of a Bookman" (1930), "From My Library Walls" (1945), "The Kingdom of Books" (1927), "Celebrities Off Parade" (1935) and similar bookish tomes. New York: The H.W. Wilson Company, 1933. Hardcover. Small 4to. Blue cloth with gilt spine lettering. xvi, 320pp. Very good. Mild binding edgewear, else internally fine. Tight, attractive first edition of this thorough 2-column scholarly approach. Both front and rear pastedown bear the bookplate of Joseph Hunley (1922-2016), actor and USO performer who went on to direct plays for Chicago's famed Goodman Theatre and founded a community theatre. Laid in at front is a fine 24mo manila envelope with printed "Notice" explaining: "Enclosed in this envelope are the catalog cards for this book. These cards are supplied without charge for all books published after January, 1928...." Seven heavy stock standard single-punched card catalog cards are enclosed. Interesting bibliographic twist on this interesting bibliography! New York: Burt Franklin, 1970. Hardcover. Edited by John Malone. 12mo. Burgundy cloth with gilt spine lettering. xxvi, 113pp. Near fine. A tight and handsome facsimile reprint of the first edition (New York, 1900) of this still-useful reference. #573 in Franklin's "Research & Source Works Series." New York: Burt Franklin, n.y.. Hardcover. 8vo. Burgundy cloth with copper spine lettering. lii, 180pp. Fine. A perfectly tight and superb facsimile reprint of the first edition (London, 1900) of this useful reference to writings about John Cabot, 16th century Venetian explorer who in 1497 was the first European to explore the coast of North America. #99 in Franklin's "Bibliographical and Reference Series." Undated, but 1960s vintage. Iowa City: The University of Iowa Libraries, 1976. Hardcover. Blue cloth with gilt lettering and decoration. xvii, 107pp. Fine. Pristine first edition, limited to 1000 copies, of these conference essays presented by leading scholars in the field. New York: Crown Publishers, 1973. Hardcover. Small 4to. Black glossy paper over boards with red metallic spine lettering, pictorial dust jacket. vii, 248pp. Illustrations. Near fine/very good. Faint jacket edgewear. Tight, handsome first edition of this standard how-to, badly outdated in terms of pricing and values but still useful.